Speak Up in Staff Meeting! One of the highlights of this week has been to spend some time with author Bryan Davis (www.daviscrossing.com). He writes fantasy epics for older children and teens (and occasionally for grownups!). He talked this week about some of the letters he has gotten from teens who have been inspired by his books. One in particular was a girl who had been sexually abused and by reading about the strong female hero of one of his books, gained the courage to stand up to her abuser and report him. He’s now in jail and the girl is a young woman who is pursuing creative writing as a college student. Just hearing him tell of the impact of story as a life changer gave me chills – every time I heard him tell it! One hero in this story that was overlooked? The MEDIA SPECIALIST who selected and processed the book and made it available to this young lady. You serve as the pipeline between authors of inspiring literature and the kids whose lives are changed by the power of a book! You are making a difference today for your students! Keep up the good work! "I'm of a fearsome mind to throw my arms around every living librarian who crosses my path, on behalf of the souls they never knew they saved." #38. Ask your principal for a full one hour session in pre-planning (or a 3 minute Spotlight on Media Center Resources in every staff meeting!) to tell/remind teachers of the great resources available. When you remind teachers what resources you have (or tell them about them for the first time) you can make them more effective teachers and become an indispensable part of the team. They need to know that the media center is not just for the students, but that you have a lot to offer them as well. You can do it one big session, but it would probably be more effective in bite-size, time relevant doses at the point of need. Gary Paulsen thinks you are AMAZING! How to impress your teachers! I had the privilege a few years ago to perform “I Love to Read!” at a community wide library event where Gary Paulsen was the featured speaker. He has had over 200 books published and is a real rock star in contemporary children’s literature. He had some hilarious stories to tell, but my favorite 3 minutes of the whole day was when he told how his life changed forever at the library. When the librarian asked if he would like a library card, Paulsen says, "the most astonishing thing happened. This silly little card with my name on it gave me an identity I had not had. I felt I had become somebody." "Libraries and librarians have definitely changed my life -- and the lives of countless other Americans...they deserve the support and patronage of every single one of us who values education." 39. Keep up with what your teachers are teaching. Know the standards and ask to be invited to the teacher planning time/collaboration to let them know what resources the library media center offers to support upcoming lessons. You can increase your value to the school and help your colleagues become better teachers by showing them that there are DVD’s, books and databases that can help 5th grade teachers teach about the Civil War. More effective teachers, increased value, better educated students and increased test scores should be motive enough. Add to that the warm feeling you get when you KNOW that you are making a difference for the whole school, and this is worth doing. 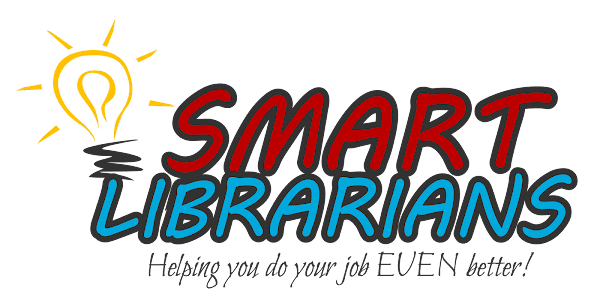 I am so excited to be a featured speaker at the Alabama Library Expo next week. I will be presenting “45 Ideas in 45 Minutes!” for the folks attending. I look forward to seeing you there! Zoo Atlanta is having their Fall Educator Appreciation Day on Saturday, September 17, 2016. Educators receive FREE admission (educator ID required) and $2 OFF general admission for accompanying guests. Visit the Educator’s Lounge in the Ford Tent from 10 a.m. to 3 p.m. to receive your coupon for 10% off gift shops and food outlets. To help, aid, assist. To teach, collate, enthuse. To catalogue, index, arrange, organize. To find, discover, promote, display. To interest, intrigue, amuse and amaze. To instill wonder. To help children, adults, old people, the underprivileged, the rich, the poor, those with voices and those without. To protect resources, to archive them, to store them, to save them for the future. To provide differing viewpoints, to engender thought, conversation, research, fun. To provide the best answer possible, to match the answer to the enquirer, to provide just enough information without overwhelming the user, but enough to always help. To better a local community, a company, a college, an organization, a country, the world. Google is there: To make money. 9. Design and print READ posters for top readers, classes, administration, and staff with favorite books. I have designed a series of READ type posters you can use for your top readers and others in the school. I usually print these 11X17 so they are big enough to see, but affordable. If your school doesn’t have a large format color printer, most big office supply stores run specials so that an 11X17 color copy of one of these posters is less than $2.00. If you’d like to have the templates, send me an e-mail at tommy@tommyjohnspresents.com and I’ll send them along with directions on how to insert your photos into the poster. Time is running out to book at last year’s pricing! Every Thursday, you’ll get this short, fun, relevant newsletter. It will contain a quote or smile about the library and those who love it, an idea you can use to promote your media center or reading in general, and an occasional shameless plug for the programs I offer. Enjoy! Hilda is 88 years young and we have been friends for about 20 years. She and her late husband Bob sort of adopted our family and we just love her to pieces. Here’s why YOU should know her! Her love of reading started when she was about 9 years old and a librarian in Girardville, Pennsylvania suggested she read “Little Women.” She was hooked! And almost 80 years later, she still talks about that library lady. In 80 years, somebody’s going to be talking about you too! Because you’re AWESOME! That’s a 12.7% increase over last year! You can run a report every week and update your school’s progress and brag about what the teacher librarian is doing to help! I’m Speaking at the Alabama Library Expo! I will be presenting “45 Ideas in 45 Minutes” to the attendees of the Library Expo, a four day four city rolling conference. If you are in Alabama I hope to see you there! Go to http://alabamalibraryexpo.com/ to find out more!